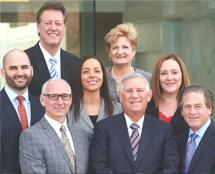 With over 170 years of combined legal experience among them, our attorneys have the skills and resources necessary to handle even the most complex cases. Working alongside a dedicated team of paralegals and support staff, we deliver personalized attention to your case, addressing your questions and concerns and devising solutions and strategies aimed at protecting your best interests as well as those of your family. Throughout our history, we have earned a reputation as one of the leading family law firms in the region, and we are proud of the service we offer to our local citizens. No matter the legal need you have related to your family's changing dynamics, you can trust Tabat, Cohen, Blum & Yovino, PC, for dependable, effective counsel.